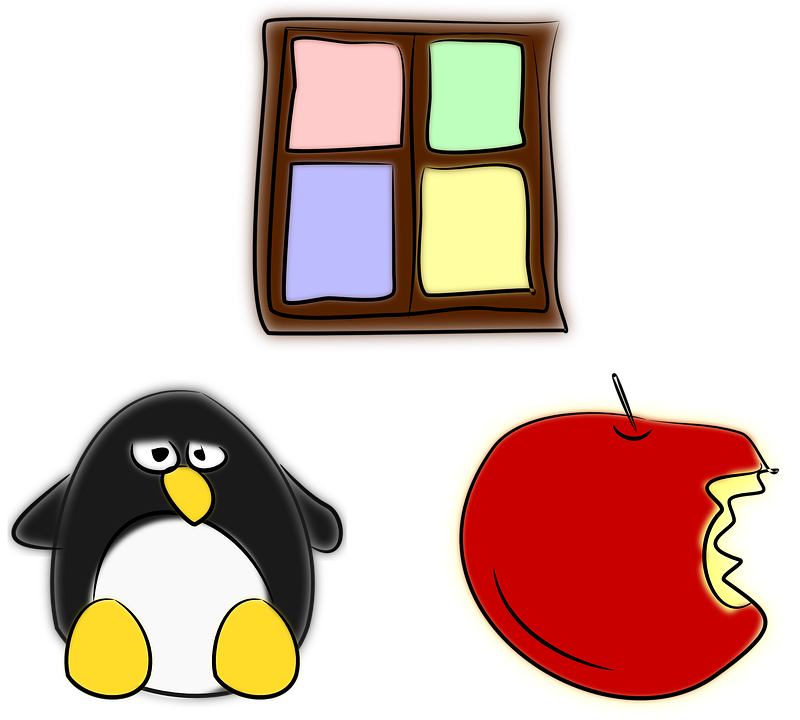 Home Linux mac windows I moved to Linux from being a Windows power user, you should too. Here's Why. I moved to Linux from being a Windows power user, you should too. Here's Why. One year ago, I switched to Linux operating system from windows and I realized how much I've been missing so much of the customization that is offered by Linux. So Why you should move to Linux? There are a number of advantages and there are some downsides too. The Linux v/s Windows battle is a never ending one mostly because both the operating systems have their own share of users. And amidst that comes Mac OS, which again have a lot of users using it too. Here I am not going to write about what you get in Linux and not in Mac os or Windows (You'll get plenty of those articles on the Internet). I will just write how effective things have become after I made the switch from Windows to Linux. But almost 54% of the worldwide home PCs run Windows. According to me the main reason for that would be Gaming, and the user friendliness that Windows is able to make up with its users. I am any computer science freshman, and I must say Open Source is way cooler than proprietary software. Using the command line for programming gave me a better understanding how things are actually working and I am able to debug my programs better, I am kind of anti-IDE guy, So switching here and there between tmux sessions and figuring what was going wrong in the browser from a script running from the terminal, all these stuff for me would never have been possible for me If I were using Windows right now. For some, this might be like "hah.. He's new to the game.." yeah, I am kind of new and pretty late into the game too. For the Windows lovers it will be like "You can code in Windows too! Nothing's stopping you!" Well, Here's my view, Using something like Linux gives you the the Command Line. Hey! Windows has powershell! It's powerful too! Yeah maybe, but the light feel and and customization that Linux gives is much much more than what Windows has to offer. I am not saying those who code in Windows are unaware of the awesomeness of Linux, I am just writing this for the love for Linux and open source. So, I was into programming when I was using windows, here's what I learnt after the switch. Knowing your way through the command line can help you get better at figuring out what problems can you be having with those path and library issues. At this point, I am able to figure out what missing or what's going wrong without heading over to SO and it gives me pleasure to run across the filesystem and open up the file which is having the issues and then reading it and figuring out what's up. Knowing the IO can help you solve your file problems in your program, may it be c,cpp,python,nodejs anything. It just helps a lot! So that was my story about how Linux helped me get better at programming, now Linux have also helped me think SIMPLE. Getting frustrated becomes your hobby when it comes to entertain yourself using Linux, As a initial distro I used Linux Mint. I liked editing photos in Photoshop and stuff, Here with gimp I had a very limited set of tools and when I thought of watching some movie the codecs were not well supported for some, So basically in Linux "You Make Things Work" , These kind of problems arise in Windows too for sure but how many times do you get the opportunity to read the code behind the problem and understand nothing or something at times. It's all worth it I guess. There are so many helpful learning projects such as the LFS, which guides you through building your own custom Linux. Things are more fun and entertaining with Linux because you break things and you fix them. It's almost like having breakfast after a 10km run. Do you need to switch to Linux from Windows? Well this depends on you, If you are a designer or something like that In my knowledge sticking around with windows and Mac OS are the best options, though there are a few good multimedia utilities in Linux, but not as robust as the ones adobe has to offer. If you use git and gihub for programming needs, you should definitely try doing it from the bash shell or the shell of your choice in some Linux distribution. Also there are so many distributions to choose from and to be honest, some actually look much much better than windows does [peace bro]. You can choose what Window manager you want to use, like for example I am using something called the i3 tiling window manager which tiles everything you see on your screen, Whereas in Windows you can't have that kind of customization, all you can do is add some silly theme. Agree with me or not, you should definitely give a try to Linux because it's really awesome.